I strongly encourage anyone interested in the CREW Boston network to jump in! I promise there isn’t a woman in the room who won’t go out of their way to catch you. Through the connections you make, you will find support and opportunities in your professional and business development. CREW Boston is a very special community of colleagues who invest in each other’s success. - Lisa C. Goodheart, Sugarman, Rogers, Barshak & Cohen, P.C. The women of CREW Boston have deep industry knowledge, ambition, grit, a sense of humor, and a real commitment to supporting and being supported by each other. Get involved with a CREW Boston Committee and see for yourself! CREW connected the dots between my experiences in academic property management, construction and real estate law. - Berley McKenna, Attorney at Hackett Feinberg, P.C. 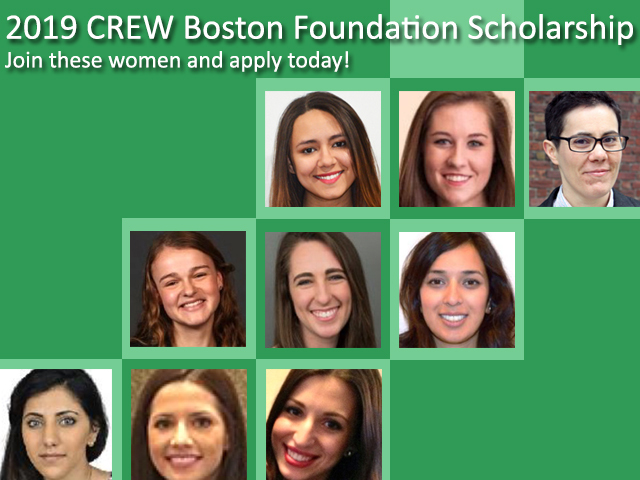 As a CREW Boston Scholarship recipient, I gained an instant network of passionate experts who helped me transition into my new commercial lending and community development legal practice. It’s great to be in a position where I can now counsel others. Personality Assessments - What drives you and your team? 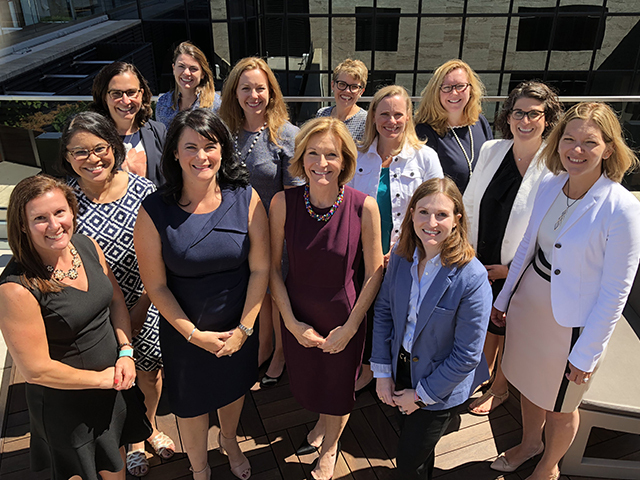 CREW Network was founded in 1989 to bring together women involved in the many aspects of commercial real estate to exchange information, develop business contacts and help each other succeed professionally. Today, CREW Network is the premier business networking organization dedicated to transforming the commercial real estate industry by advancing women globally. We provide support to our 11,000+ members worldwide through business development, leadership development, industry research and career outreach. Aug 17, 2018 by Karen Hurd, SVN International Corp.
Boston law firm Rackemann, Sawyer & Brewster announces that Kerry A. Hurley has joined the firm as the new executive director. With 20 years of real estate industry experience, Hurley has handled a wide range of property management matters during her career, including contract negotiation, building management, and financial reporting. Previously, she served as general manager for Boston-based Oxford Properties. Pinck & Co. Inc., a Boston-based comprehensive real estate development and project management services firm, has announced it has expanded its development consulting team. New hires are Lisa Kozol of North Andover, director of development consulting; Andrew Weesner of South Boston, senior project manager; and Caitlin Robillard of Brookline, project manager. Kozol brings to the firm 20 years of experience in the private and public sectors, real estate development and management, project and real estate asset management, and securing a wide variety of complex financing sources. Weesner brings 18 years of analytical development experience in assessing and identifying opportunities for clients’ financial goals and strategy. Robillard has 10 years of experience in project and program management, strategic planning, and oversight of multimillion dollar budgets. Jan 23, 2018 by Jennifer Pinck , Pinck & Co., Inc.
Epsilon is pleased to announce that Managing Principal Peggy Briggs was selected by the Worcester Business Journal as a 2017 Outstanding Women in Business. Outstanding Women in Business winners are selected on their achievements and impact on the community. Peggy has done this in her own way and as such is being recognized for her achievements in and out of the work place. Peggy has been instrumental in growing Epsilon from a company that started with just 7 partners 20 years ago to a 53-employee firm grossing about $12 million annually. With an extensive track record of successfully assisting clients through the regulatory processes combined with her interest in mentoring other women in the field, Peggy is well deserving of this recognition. Find out more about this award and meet each of the outstanding women by visiting the WBJ website at http://www.wbjournal.com/article/20171030/PRINTEDITION/310279996/1002. The MovePlan Group is celebrating 30 years of change. The journey is charted below. Emerging from an entrepreneurial idea at a London kitchen table, our business has grown to serve clients in over 30 countries across six continents, whilst retaining the same passion and personal level of service since the beginning. Our practices continue to evolve in line with rapidly changing workplace conditions. As our growth continues, we remain committed to ensuring best practice in change and relocation management. The fifth annual Forty Women to Watch Over 40 list celebrates women who are disrupting industries, starting businesses and creating new pathways to breakdown the systemic barriers that drive women to opt out of the workforce or miss the C-suite altogether. The award is consistent with the CREW Boston and CREW Network focus this year on disruption. The winners of this award were selected based on a rigorous application and judging process that evaluated there criteria - one of those criteria was described as "Reinvention/Momentum: Is she engaged in personal disruption, taking on new challenges and harnessing the power of past experiences to create energy to propel herself and others to new achievements." PAM FISHER, Senior Vice President at Construction Coordinators, Inc. named Constructech 2017 Woman in Construction! Construction has seen many changes in recent years, and with that comes the rise of women who are leveraging technology to take the industry in new directions. The Women in Construction award honors women in the industry who have gone above and beyond to transform work on the jobsite and in the office, through the use of technology. Pam was selected with a diverse group of women breaking ground on new processes to improve productivity and efficiency at the jobsite, while opening doors for more women entering the space. Submissions were made to the editorial staff at Constructech magazine who chose the most successful women working within the construction community who are taking advantage of technology and represent some of the most innovative construction companies in the country. Sep 18, 2017 by Pam Fisher, Construction Coordinators, Inc.
Boston-Based Law Firm Announces Recognition of Six Attorneys, One CREW Boston Member, as US News & World Report "Best Lawyers"
Krokidas & Bluestein LLP, announced today that U.S. News & World Report has recognized six of the firm’s attorneys in its 2018 “Best Lawyers” list. 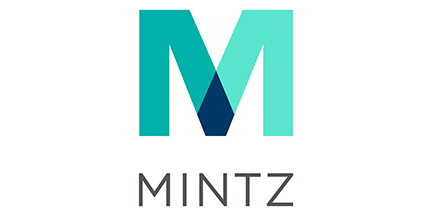 The list includes Managing Partner Robert Griffin, and partners Jennifer Gallop, Paul Holtzman, Samuel Nagler, Kathryn Cochrane Murphy, and Elizabeth Ross. The Krokidas & Bluestein attorneys included in this year’s “Best Lawyers” ranking represents expertise from the firm’s core practice areas: health care, real estate, litigation, labor and employment law. Among the honorees is Kathryn Cochrane Murphy, who has been recognized for her work in Real Estate Law since 2014. She is also a former steering committee member of CREW Boston, and in April was one of 13 women to receive the 2017 Networking Award for her role in the One Greenway Project. The Jewish Community Housing for the Elderly (JCHE) was recognized by the U.S. Department of Energy (DOE) at the Better Buildings Summit in May 2017. The Jewish Community Housing for the Elderly (JCHE) was recognized by the U.S. Department of Energy (DOE) as the first multifamily housing partner to achieve their energy saving goals at the Better Buildings Summit May 15-17, 2017. The award, presented by Maria Vargas, Director of the Better Buildings Challenge, U.S. DOE, recognizes organizations dedicated to improving energy efficiency in their buildings portfolio-wide by 20 percent over ten years. JCHE achieved a utility savings of 24 percent and $167,500 across its portfolio of six properties since joining the Challenge in 2012. Christine McVay recently joined the Boston Office of Stantec's Consulting Services. 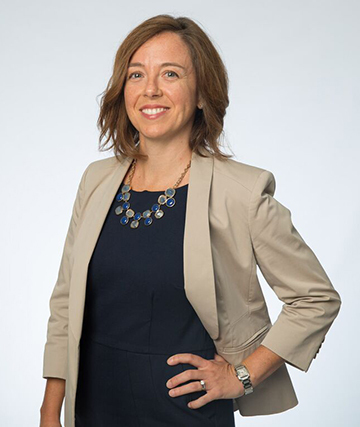 In her role as Senior Project Manager, Christine will lead the team's Article 80 filings for private and institutional development projects in the City of Boston, and add to the depth of the team's permitting and planning experience. The first project Christine will manage is the Exchange South End project that will integrate the character and creative culture of the South End with a 1.6 million square foot, vibrant life science and tech community, connected by local retail, new bike trails and dynamic public spaces that will become a neighborhood destination. Feel free to reach our to Christine if you would like to learn more about her new position or what services Stantec may be able to provide to you or your clients. Visit www.stantec.com to learn more about the interdisciplinary consulting and design firm. RBLA DESIGN LLC certified DBE & WBE! RBLA Design LLC has been certified by the Commonwealth's Operational Services Division Supplier Diversity Office as both a Disadvantaged Business Enterprise (DBE) and Women-owned Business Enterprise (WBE). This will primarily benefit our multi-family housing clients at this time, but we look forward to exploring additional opportunities through MassDOT and DCAMM. RBLA Design LLC provides Site Planning, Landscape Architecture, Due Diligence Research, and Environmental Permitting Services. Mar 22, 2017 by Diane Danielson, SVN International Corp.
On March 16, Mintz Levin partner Susan Phillips will be speaking at an open CREW Tucson Luncheon on "Strategies for Developing Contaminated Properties." The invitation to speak resulted from connections made at the 2016 CREW Convention. Cambridge Savings Bank announced the appointment of Christine L. Flaherty as Vice President and Commercial Real Estate Loan Officer. Flaherty will be responsible for developing new commercial relationships and deal origination of commercial and construction real estate loans within the bank’s targeted market. She comes to Cambridge Savings Bank with over 20 years of experience in commercial banking, most recently as vice president at Boston Private. Rich May, P.C. 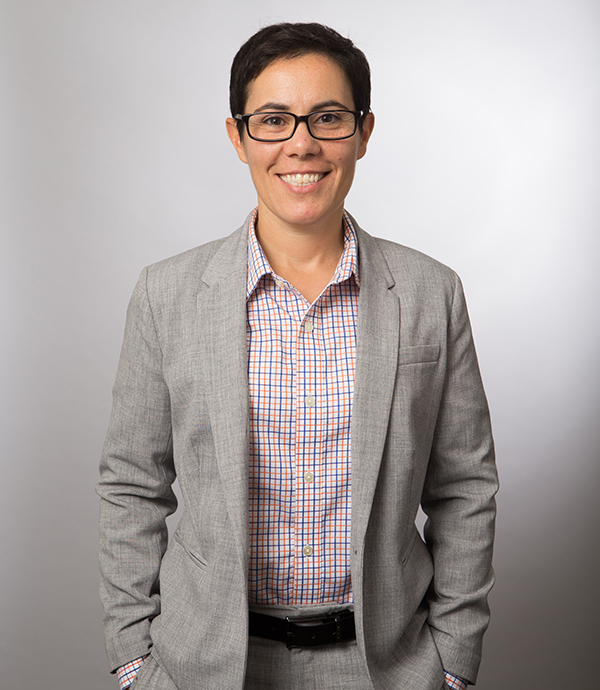 is pleased to announce that Danielle Justo has been promoted to Shareholder. Dani will continue her commercial real estate and estate planning practice. Rich May, P.C., a law firm in Boston, concentrates its practice on corporate, financial, civil litigation, energy, real estate, entertainment and wealth planning matters. Jan 27, 2017 by Danielle Justo, Rich May, P.C. Sanborn, Head & Associates, Inc. (Sanborn Head) is proud to announce the promotion of Tricia Pinto, P.E. of North Chelmsford, Mass. “Congratulations are in order,” said President and Chief Operating Officer Barret Cole. “Tricia has contributed to moving Sanborn Head forward and we would like to recognize her for her efforts.” Tricia Pinto, P.E., has been promoted to Senior Vice President. Tricia is the leader of the Developer Client Service Area at Sanborn Head and serves on the firm’s Board of Directors. Under her leadership, the Developer team has seen significant growth in business over the past two years. She is also actively involved with the business community and several industry associations. “Tricia’s leadership is defined by sincerity, integrity and a commitment to the greater good philosophy,” mentioned Cole. Please join us in congratulating Tricia on her accomplishments and well deserved advancement. Yee Cho, PE, LSP, F.EWRI received the 2016 Outstanding Career Achievement Award for Graduate Alumni from Tufts University, School of Engineering. Yee is the Founding President of CDW Consultants, Inc. and received her M.S. and B.S. degrees from Tufts. CDW is a civil and environmental engineering firm founded in 1990. 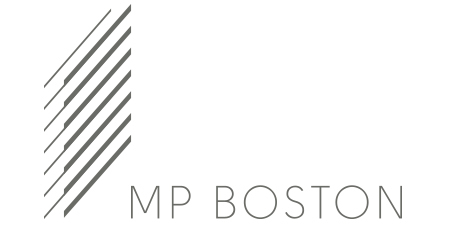 Jun 13, 2016 by Yee Cho, CDW Consultants, Inc.
Mints Levin is pleased to welcome Rebecca A. Lee as a Member in their Real Estate Practice in their Boston office. Rebecca represents corporations, developers, lenders, and nonprofit organizations in a broad range of real estate matters. She has extensive experience providing services related to development permitting and land use, particularly in the Greater Boston area, and handles matters related to financing, leasing, the procurement of entitlements, condominium creation and dispositions, and site acquisitions and assemblages. Nolan Sheehan Patten is pleased to announce their newest Partner, Danielle J. Kinkel, effective January 1, 2016. Nolan Sheehan Patten LLP is a Boston-based real estate law firm focused on affordable housing and community development. UBLA Now Licensed In New Hampshire! Rebecca Bachand recently received license reciprocity to practice Landscape Architecture in New Hampshire. UBLA is currently providing site planning and landscape design services to a multifamily proposal in Portsmouth, NH. The Commonwealth Institute in partnership with The Globe Magazine, named Pinck & Co., Inc. to its highly anticipated annual list of the Top 100 Women-Led Businesses in Massachusetts. President Jennifer Pinck, CREW Boston Member, has built her company from two employees to 35 and managed over $4 billion in construction projects in Massachusetts and beyond. The honor was announced on October 23rd at an awards breakfast hosted by The Commonwealth Institute (TCI) at the Seaport Hotel in Boston. TCI is a nonprofit, community-based organization that seeks to help its members learn, grow and succeed as women business owners and business leaders. Dec 4, 2015 by Jennifer Pinck, Pick & Co. Effective August 31, 2015, Lauren left her private practice and became Deputy General Counsel - Real Estate for the MassDOT and the MBTA. Lauren had been outside counsel to these organizations for many years. In keeping with this year's Crew Network convention theme "Activate-Action Creates Transformation" a career in commercial real estate can be transformed over time and Lauren had the opportunity to change her platform to provide better service to these clients. Diane Danielson, Chief Operating Officer, Sperry Van Ness International Corp., has been named a national 2015 “Women of Influence" by Real Estate Forum magazine. The women were selected from a pool of more than 350 nominees based on their achievements in, contributions to, and reputation in the business. The magazine's July/August issue, featuring individual profiles of the women, marks the 22nd anniversary of the annual report, which was first published in 1993. 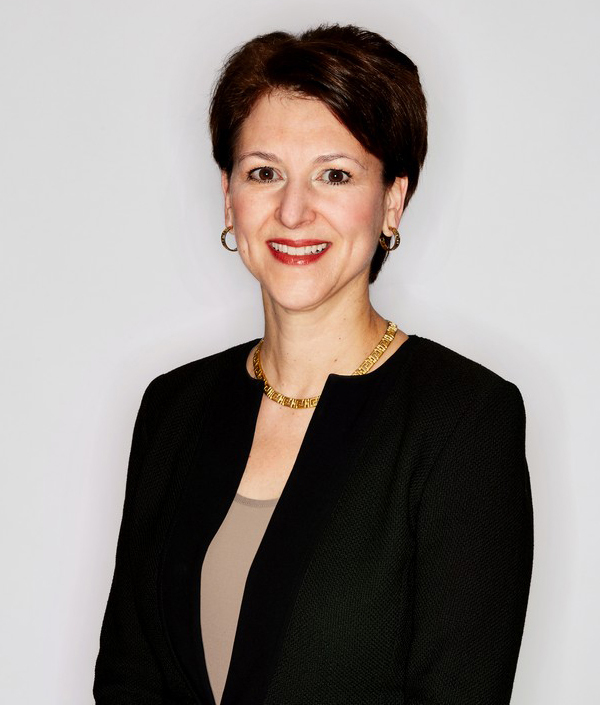 On Thursday, July 16, 2015, The Davis Companies' Jordanna Ferreira received the Boston Business Journal's CFO of the Year Award in the small company category. The BBJ's CFO of the Year Awards luncheon recognizes CFO's who make a difference in their companies and organizations. Categories include public company, large private company, midsize private company, small company, and nonprofit.